Yes. I am aware I just said water. But I really, really am loving it at the minute. As you may know here in the UK we’ve been experiencing some glorious weather, so keeping hydrated has been very important. 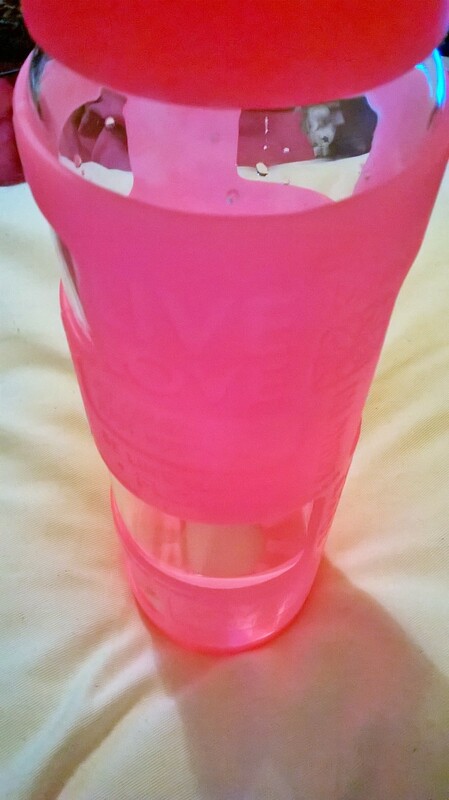 I recently purchased an Apana glass water bottle with silicone protective sleeve from TK Maxx. This was reduced to £7, and I’m really glad I opted for it. Admittedly, the colour isn’t quite what I’d usually go for, but I have to say I’m loving the inspirational positive messages imprinted into the silicone sleeve. This also has the added bonus of protecting the bottle from scrapes or knocks. I am used to using plastic bottles, but drink flavours always seem to permeate the surface leaving a noticeable change in the scent of the bottle, which i find pretty unpleasant. Glass doesn’t do this, and so I’m hoping it won’t leave me feeling disappointed! It’ll be great for throwing into my backpack on busy days. The only downside so far is that when full the bottle is considerably heavier than a plastic bottle. However, it’s a price I’m willing to pay! See if you can grab one for yourself over at TK Maxx. Because my boyfriend is also graduating this year, I thought I’d treat him to an new leather wallet. The one I picked is by a brand called Osprey. I’ve had one of their handbags previously, and I know they are great quality. 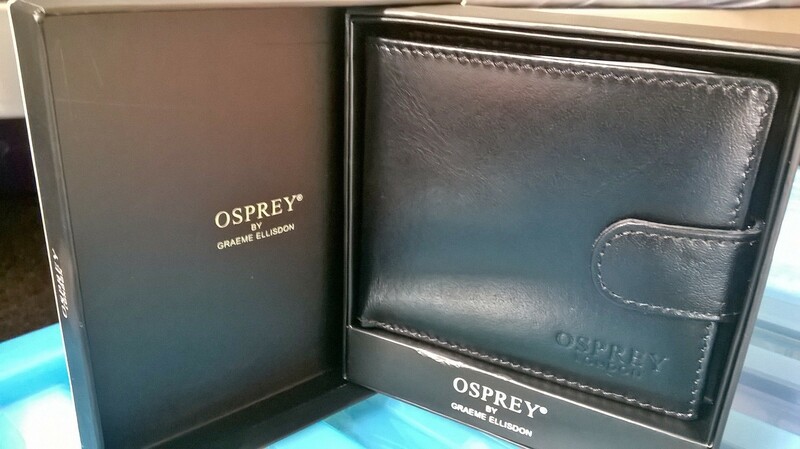 The wallet is really sleek and smart, and was an absolute bargain compared to the RRP: £16.99 instead of £80! Again, nip toTk Maxx. They have a great selection of things in there. Be prepared to hunt for the things you want; sometimes there’s no duplicates of items so be prepared to look…I promise with perseverance you will unearth some bargains! I like the fact the wallet comes in a smart presentation box, and I’m hoping it will make a lovely gift. I’m usually really into my brightly-coloured lipsticks. I have a particular love of bright blue-based reds, and usually go for ones that are matte in appearance, like Revlon’s matte lipstick in Really Red. 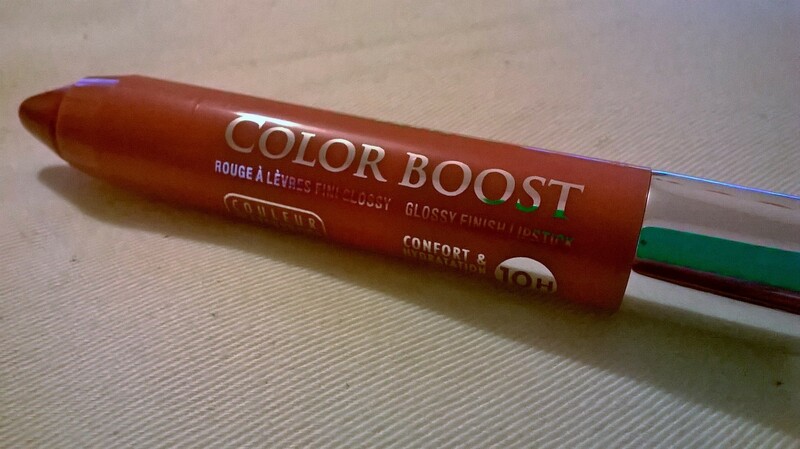 I’m also a big fan of Revlon’s matte colourburst balms, in particular Standout; a gorgeous deeper toned red that applies easily and feels amazing on the lips. 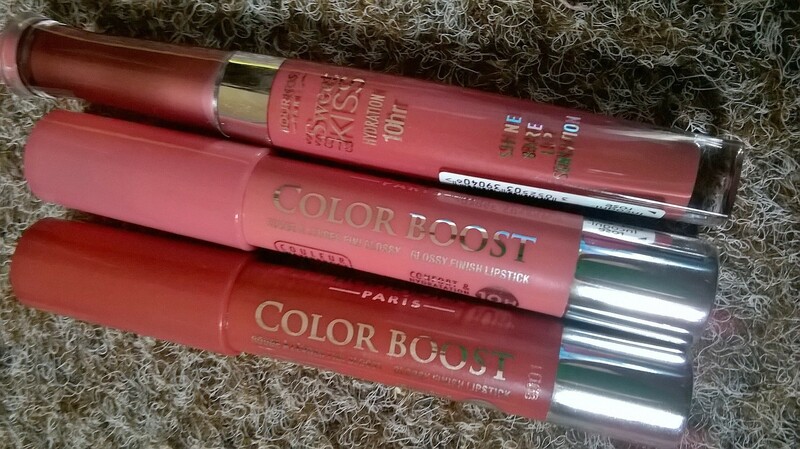 I have also tried a few from Bourjois; two Rouge Edition Velvet lipcolours in Grand Cru and Personne ne Rouge, and one of theirRouge Edition lipsticks in shade 13, that has a satin/slightly glossy finish. All of them are gorgeous, and I love the opportunity to flaunt a good red lip whenever I can. However, since graduation is coming up, I decided I needed something fuss-free and fairly neutral so I wasn’t having to touch-up my makeup often. 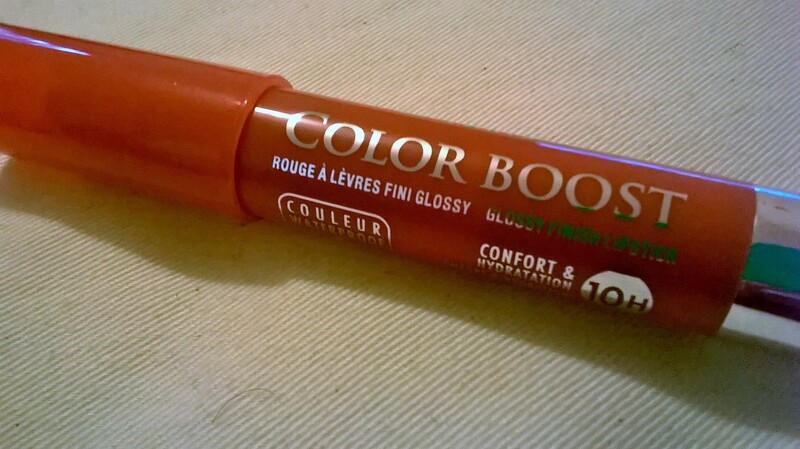 So, after what felt like hours swatching lots of neutral or ‘my lips but better’ shades, I settled on a few items from Bourjois: two Color Boost crayons and a Sweet Kiss Gloss. I’m not too sure whether this photo is completely accurate in terms of true-to-life colour (the first picture with all three is pobably the most accurate in terms of colour representation), but this is the colour Incognit-rose. It is a cool-toned rose gloss, that has a creamy, high-gloss finish free from glitter/sparkle. This is very much a MLBB (my lips but better…I’m becoming a bit obsessed with that phrase at the moment!) gloss, or at least it is for me and my pigmented lips. It isn’t overly ‘in your face’and it doesn’t make a huge statement, but what it does do is provide the lip with a polished, well-put-together look. It’s just enough to make you feel made up without feeling overtly so. I think the packaging is really smart, and I really like the applicator that comes with this gloss as it is a little brush.You don’t need to take much time applying it because it’s pretty fool-proof and very easy to do. 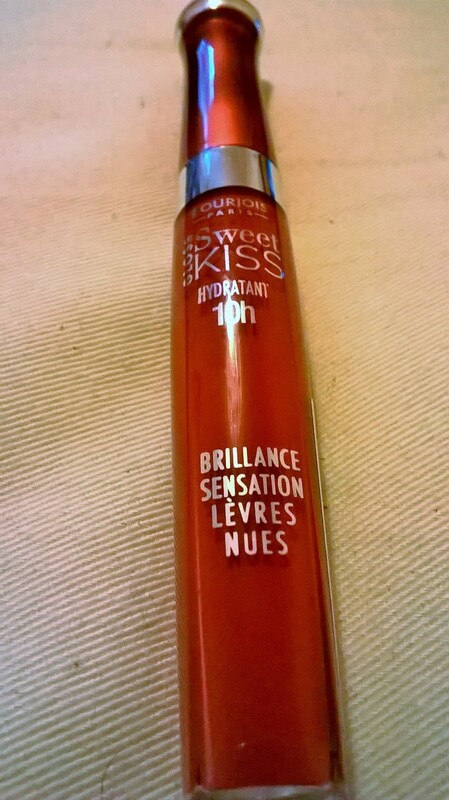 Bourjois claims that it gives long-lasting hydration of !0 hours, and whilst i think this is a fairly overly-exaggerated claim, the formula is hydrating and moisturising, and doesn’t at all dry me out. 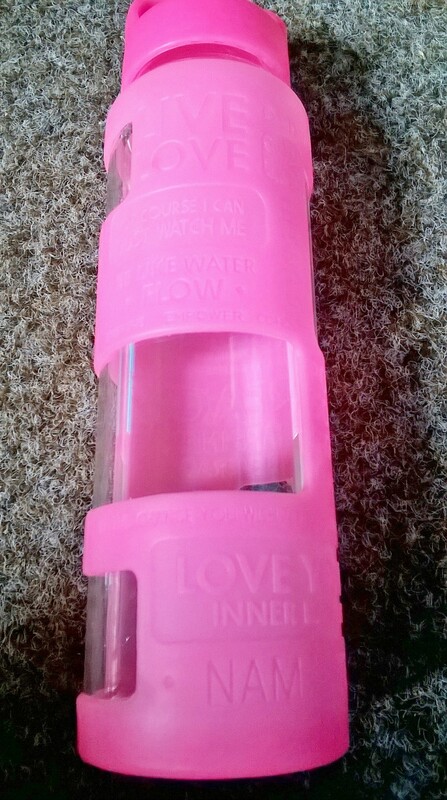 The gloss does have a slight scent, though; all I can liken it to is a slightly fruity, sweet smell. It isn’t at all offensive but it’s definitely something to consider if scents in cosmetics annoy you. Lastly, it isn’t super sticky (hooray!) but your hair will probably stick to it if it so happens to become attracted to your lips, particularly in blustery weather. I used to LOVE Lancome’s Juicy Tubes, but when wearing them my hair was constantly stuck to my mouth. When I was sixteen I used to save up my pocket money and spend it all on one tube of their Juicy Tube gloss. Juicy tubes are SUPER sticky, and even to this day I can’t really tell you why I continued to purchase them. 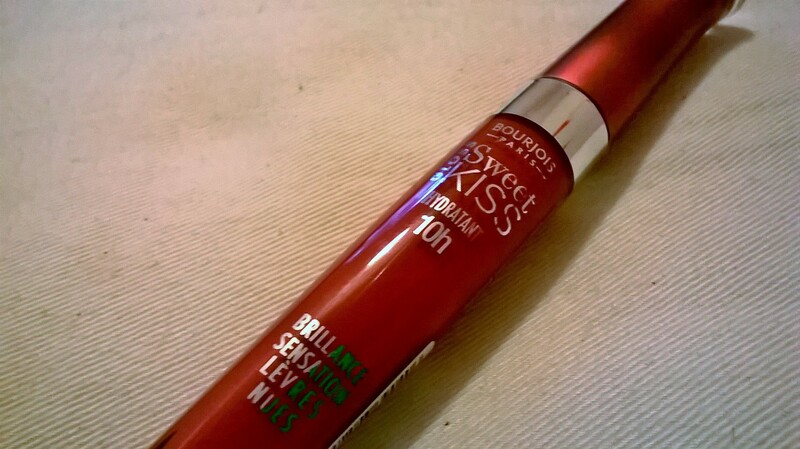 Hopefully i won’t get into the same sticky situation with this gloss! 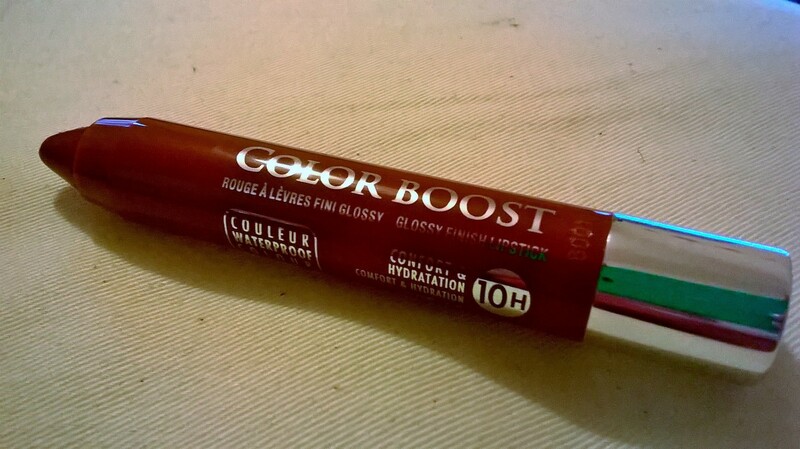 Above are the two Colour Boost lip crayons I purchased. When I spotted these I couldn’t help but think of Clinique’s Chubby Sticks; they look fairly similar, have the same sheer yet buildable coverage and pigment and they are even packaged in a similar way in a twist up stick, so no sharpening is needed! The main difference with these though are that they’re a fraction of the price. I’d LOVE to try a Chubby Stick, I really would. But at the minute I cannot justify spending up to £17 on one. These sell for £7.99, which is far, far cheaper in comparison. Bourjois claims that these also have 10 hour-moisturisation properties, but they also have an added SPF of 15 and have ‘waterproof colour’. This is the darker of the two lip crayons and is in the colour Sweet Macchiato. It is a mid-tone warm brown, with no shimmer or sparkle. When first applied the texture is creamy, and has a subtle gloss and sheen to it. 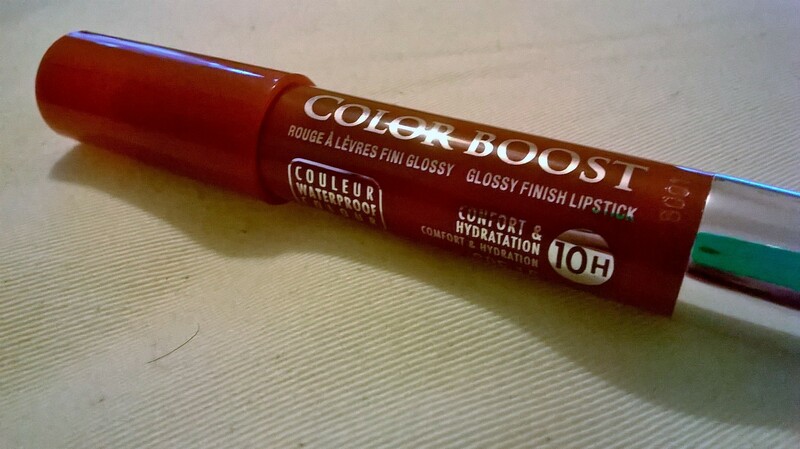 Though this sheen wears off, the colour does slightly stain the lips and so leaves them pigmented for longer. 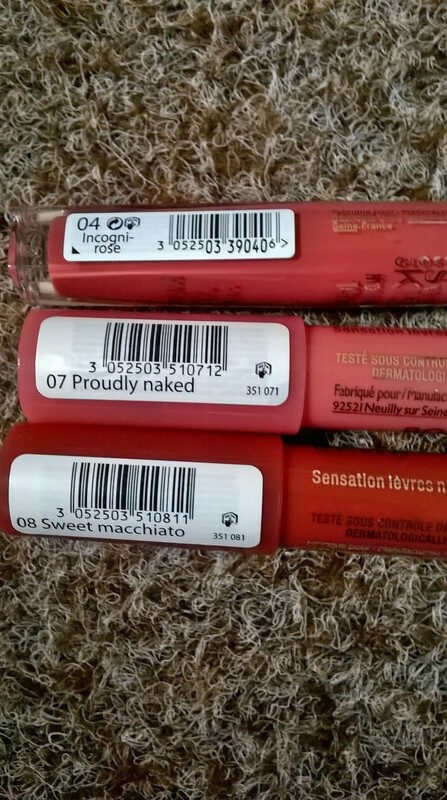 These feel incredible; they feel like a really hydrating lip balm, or what Bourjois label the ‘bare lip sensation’. The colour is almost verging on a brick-red shade when layered very intensely, but i prefer to wear it sheer for a flush or colour. I’m really impressed…can you tell that neutral colours are growing on me?! Finally we have Proudly naked, which I think is my favourite of the two. This is very natural looking once applied. It is definitely MLBB: it makes me feel like I’ve made an effort, even if all I’ve managed to do is throw a bit of blusher on my face. Again, this lacks shimmer/sparkle but does have the gorgeous subtle sheen as seen in the Sweet macchiato shade. Here are all the shades side-by-side. As you can see they’re all very similar but I recommend each one. I’m really going to have difficulty deciding which to wear on my graduation! 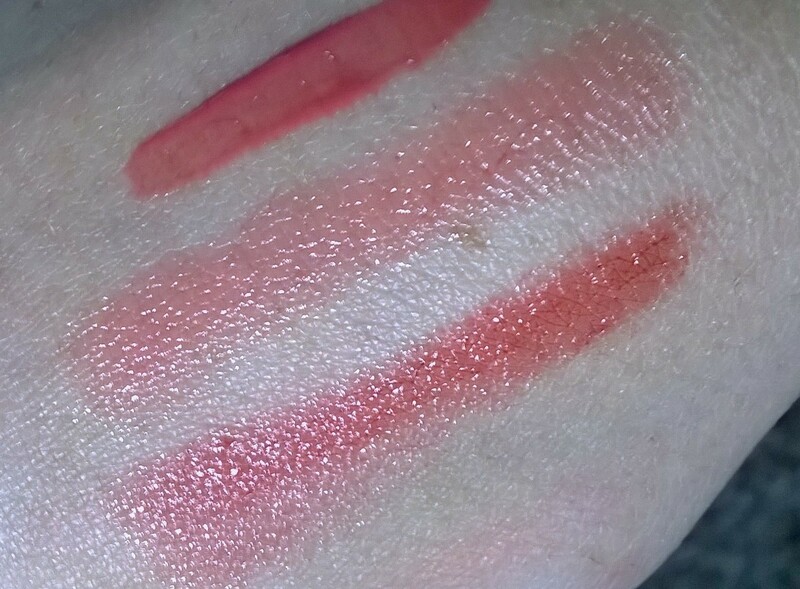 Here’s just a quick swatch of all three on the back of my hand: the top one is the Sweet Kiss gloss in Incognit-rose, the second is the Color Boost in Proudly naked and the third is the Color Boost in Sweet macchiato. Now, I know it seem a little bit extravagant to have bought all three, but Boots right now have 3 for 2 on selected Bourjois products, as seen here. Considering I was willing to pay £16 for one of Clinique’s lip pops in Bare pop, getting all three Bourjois products for just short of £16 is a pretty good deal. I’m sorry this post has been so long, but I hope all of the above things have given you some inspiration! I hope you’re enjoying the start of the weekend whatever you may be doing!